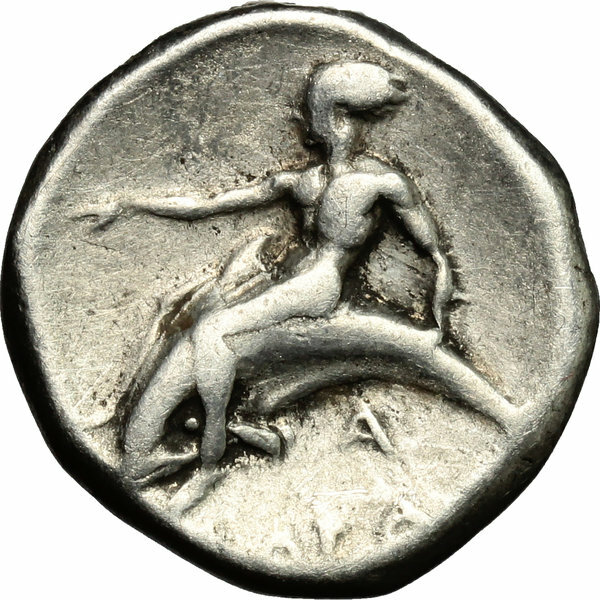 Coins 33 Greek Italy. Southern Apulia, Tarentum. 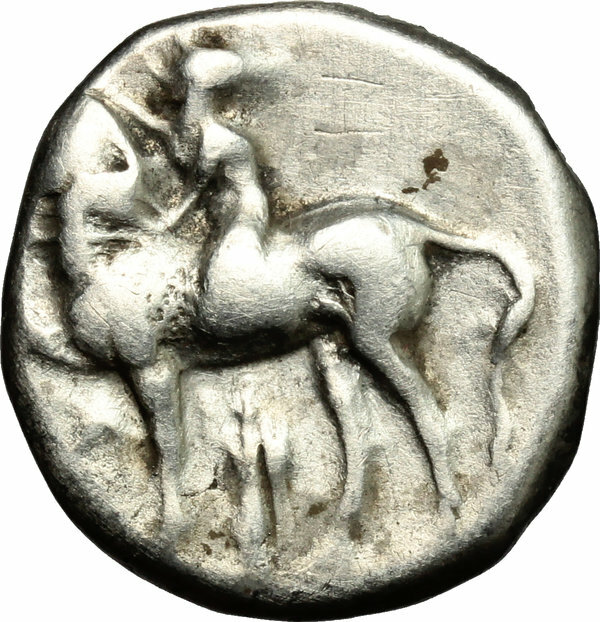 AR Nomos, 380-340 BC. D/ Horseman left; crowning his horse. R/ Phalantos riding dolphin left. HN Italy 868. AR. g. 7.75 mm. 20.00 About VF/Good F.